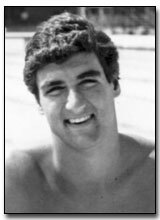 Since 1980, Charlie Harris’ name has been synonymous with the sport of water polo in Southern California. Named to the United States National and Olympic Teams in 1984, Harris played over 180 games in USA vs international competition. His highlights include: a gold medal in 1991 at the Fina World Cup in Barcelona; a silver medal at the Pan American Games in Havana in 1992; a silver medal at the 1986 Goodwill Games held in Moscow; and a silver medal at the 1985 Maccabiah Games in Tel Aviv, Israel. Harris was All-CIF and a High School All-America at Indio (CA) High School in 1980. Continuing on at the University of Southern California, Charlie was named an NCAA All America three times. He was voted USC’s Most Valuable Player twice, and in 1984 he was Team Captain.